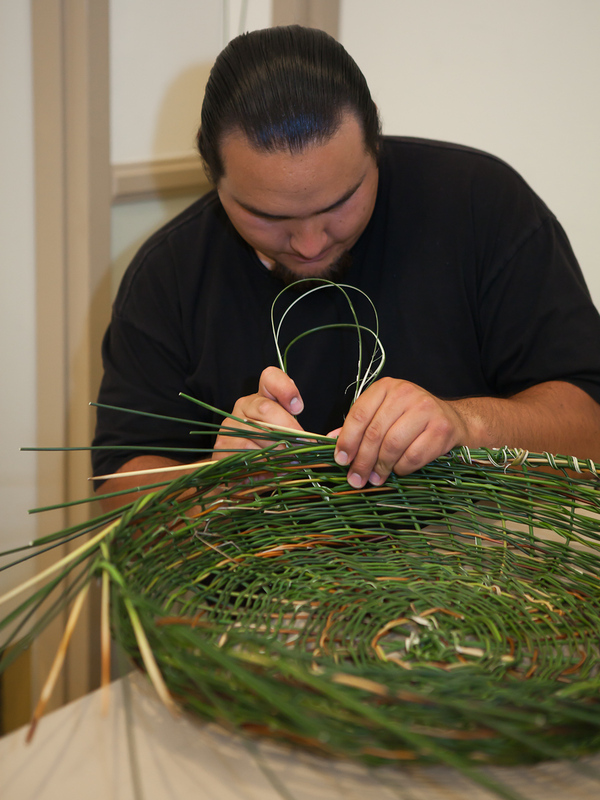 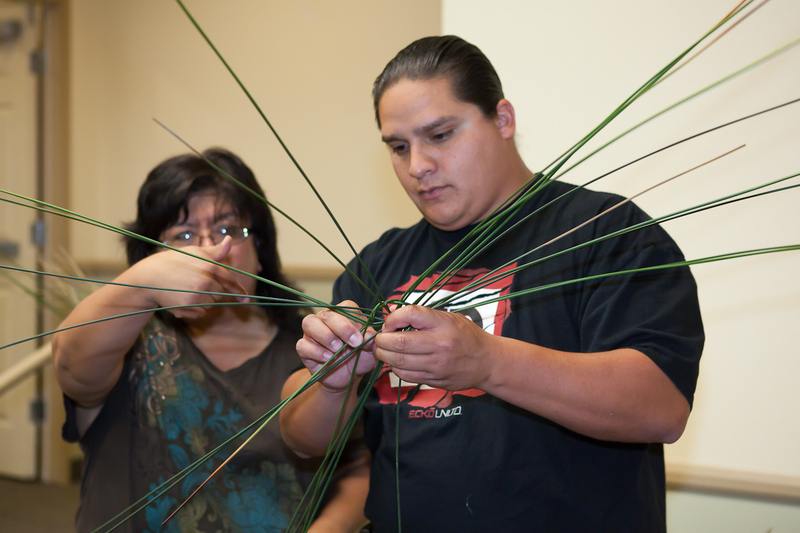 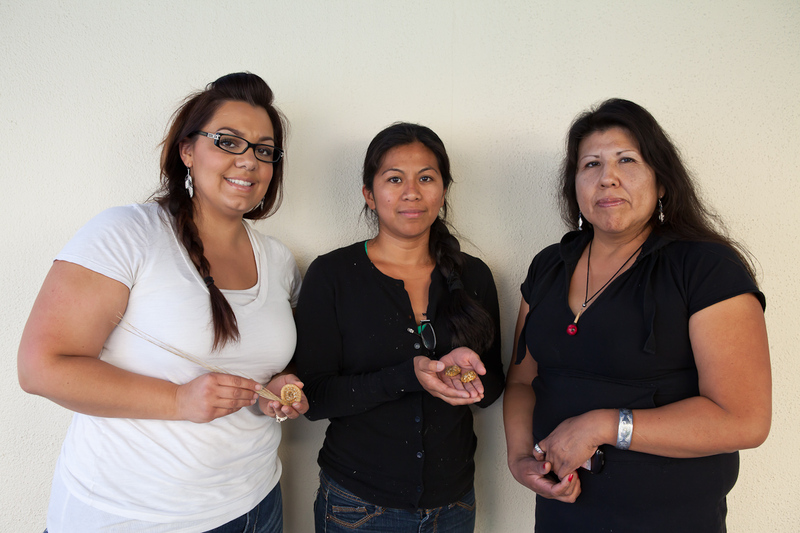 The 2011 Nex’wetem Basketweaving Summer Gathering was hosted by the Agua Caliente Cahuilla Culture Committee on July 22-24 in Palm Springs, CA. 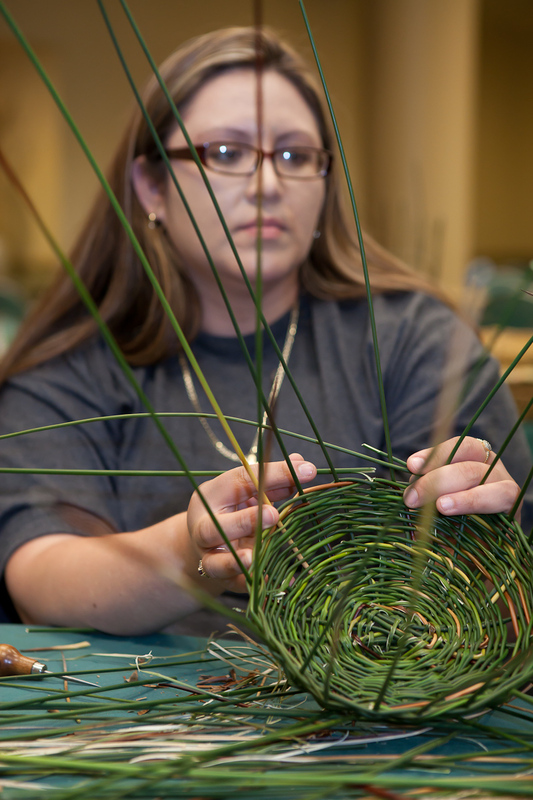 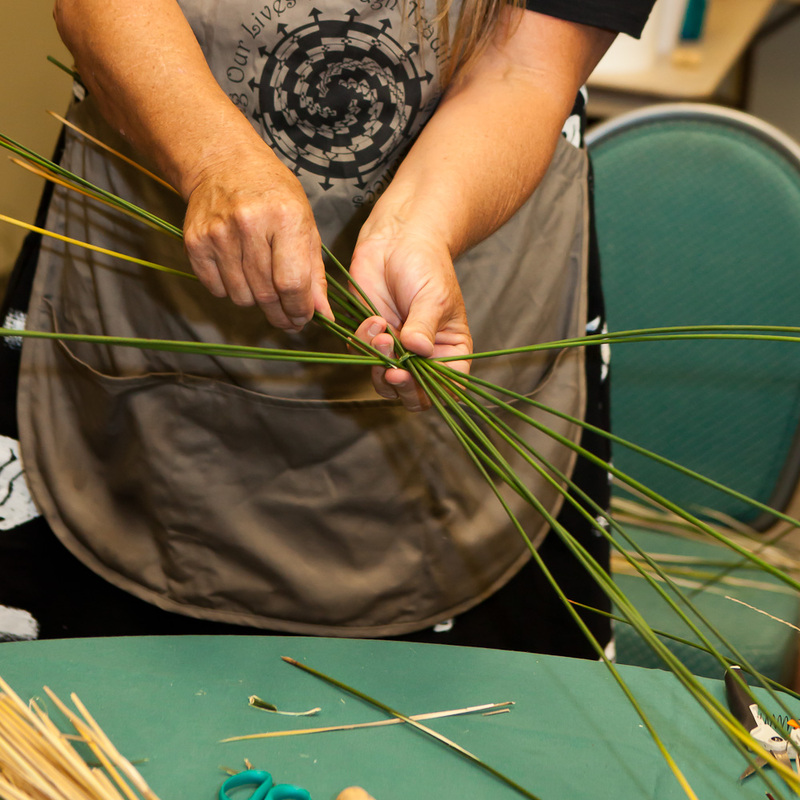 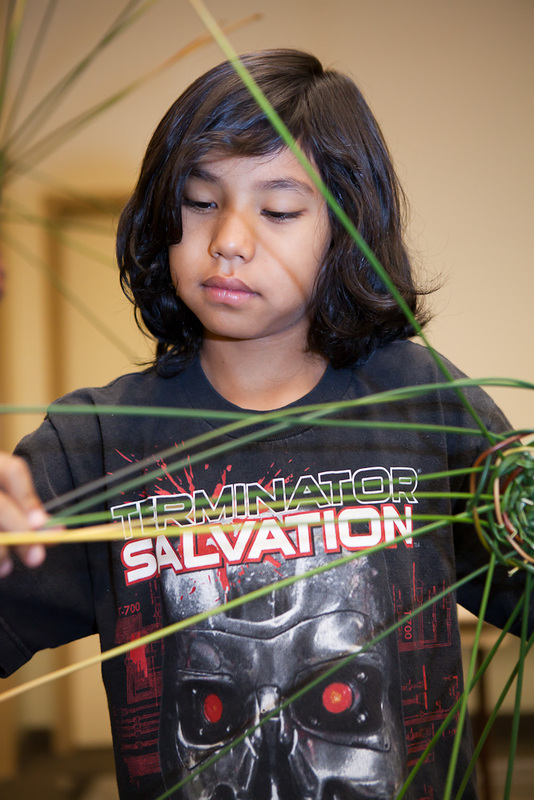 Lydia Vassar and Tangie Bogner taught several really enthusiastic students how to split juncus and to create open-weave juncus baskets. 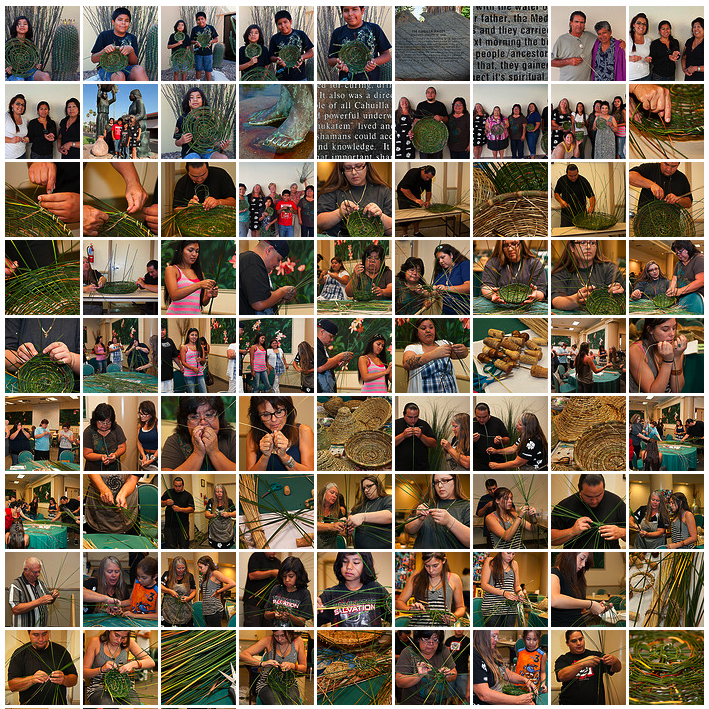 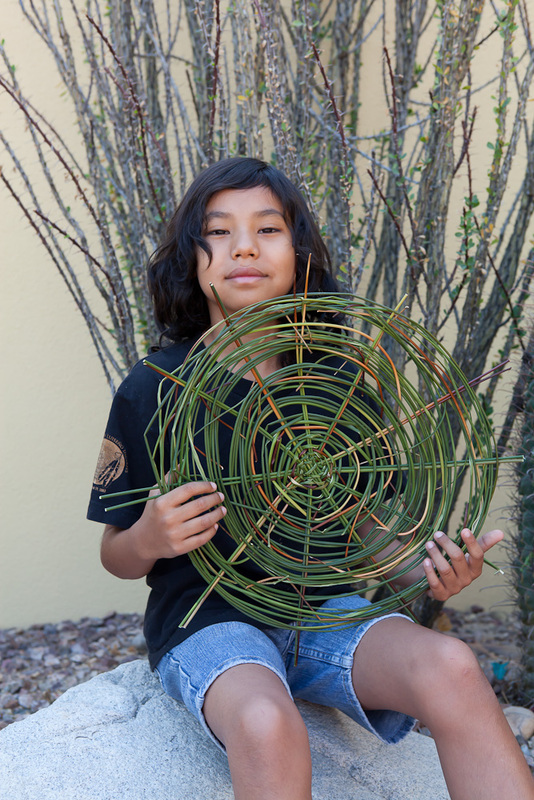 Check out WaterTurtleWeaver Luiseño Artist Lydia Vassar’s website. 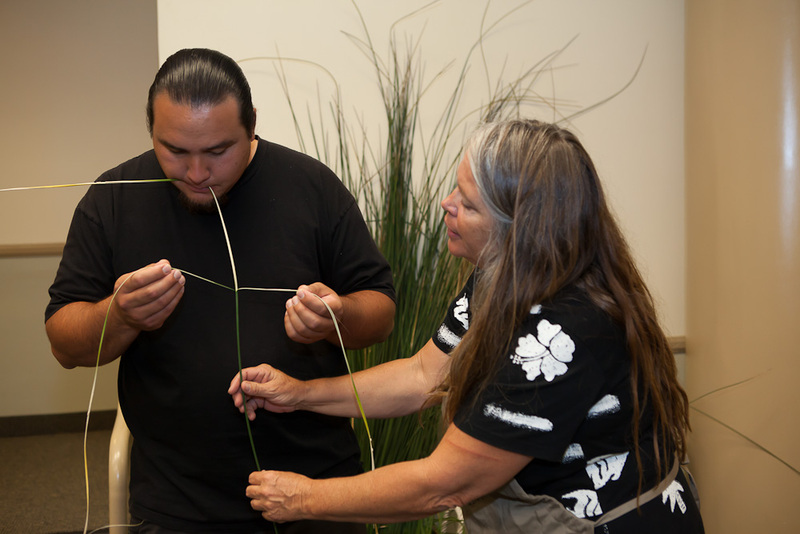 Thanks to Lorene Sisquoc, co-founder of Nex’wetem, for organizing the gathering; Sean Milanovich, Cultural Specialist with the Agua Caliente Band of Cahuilla Indians, for hosting the event; and Lydia for inviting me to accompany her to the gathering. 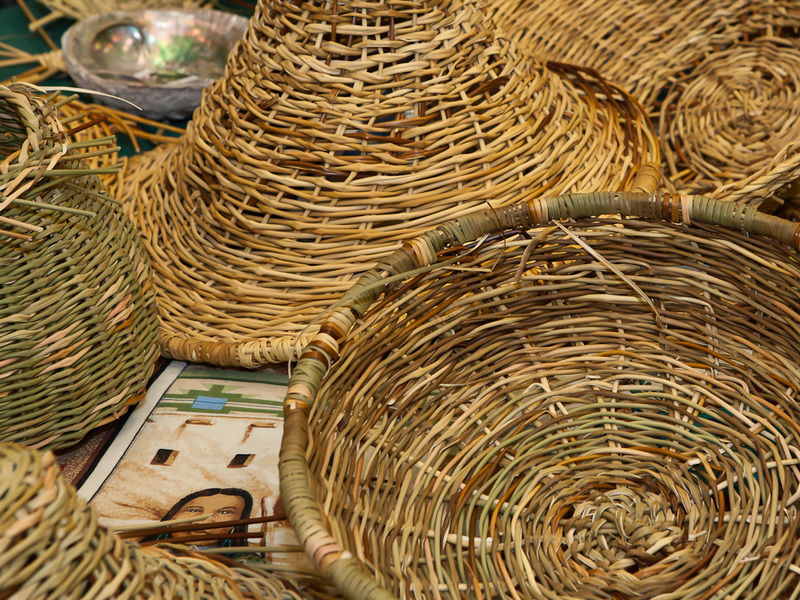 Larger versions of the above images can be seen on Flickr here.